NARPM Tampa – Got Conflict? Conflict in the workplace is inevitable! When conflict is not managed well, it creates a negative environment full of tension, inappropriate behavior and avoidance. According to www.Entrepreneur.com, the current annual cost of workplace conflict in the US is $359 Billion! When managed well, conflict leads to new ideas, better solutions, collaboration, innovation and positive growth. By exploring your natural responses to in conflict, you begin to understand the connection between your Automatic Thoughts and destructive conflict behavior. The next step is learning to Reframe your thoughts so you can consciously choose a productive conflict response. This five step process will change the way you look at conflict and improve your ability to have difficult conversations that lead to productive outcomes. Carole takes a dynamic approach that uses current “best practices” in leadership to teach individuals to become more effective leaders, communicators, collaborators and team builders. Her areas of expertise include leadership development, executive coaching, employee engagement, building emotional intelligence competencies, as well as organizational and team development. Carole attended Hofstra University in Long Island, New York. She is actively involved in SHRM and has served as Chapter President for the American Society for Training and Development. She is an adjunct facilitator for the University of Tampa and served as Chapter President for the National Association of Women Business Owners. Carole has been honored as a “Distinguished Woman in Business” by The Tampa Bay Business Journal and was awarded “Small Business of the Year” by the Greater Brandon Chamber of Commerce. 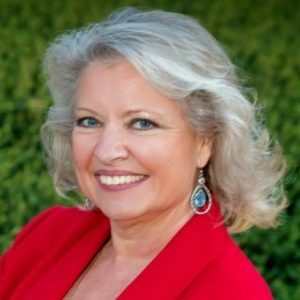 She is also an engaging professional speaker who has designed and presented programs for Fortune 500 companies and professional associations. 3045 N Rocky Point Dr.